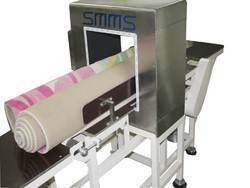 Textile Metal Detectors are specially designed Models for checking Broken Needles in Garments and Home textile products, these machines are designed as per standard requirement of Textile industry, SMMS Metal Detector effectively detects broken needles from garments and textile products. 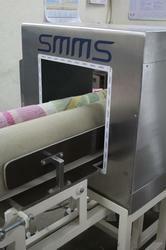 SMMS Metal Detector for Textile and Garments efficiently detects broken needles in Textile material and Garments. A sturdy product made with high grade stainless steel backed with heavy duty components gives consistant performance even in high pressure production lines. We have supplied our Metal Detector for Dari to major export houses for checking metal (needles) in dari, Our metal Detector for dari carpets is a model specially designed keeping in mind export regualtions, Our machines effectively checks Broken Needles, Minute Needle Tips from daris. We supply high range detection metal detector to have accurate detection in folded form of daris or flat daris. Available with validation kits and 9 point calibration kit. We at SMMS are in to manufacturing of Metal Detector for Rugs, Our Metal Detector delivers accurate metal detection even in large apertures, specially designed Model for Carpet and Rugs industry to deliver maximum level of Metal Detection. Highly compact design which not only delivers high results but also compensates product effects. Highly adjustable to factory conditions. Needle Detector is widely used in apparel industry for identifying needles and staples. . It has the capability of automatic balance and also has a strong sensitivity for ferrous metals. 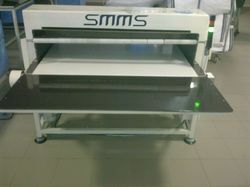 It is one of the most important inspection equipments in the quality of sewn products. 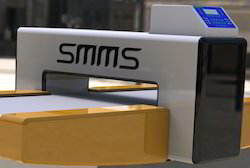 We at SMMS are in to manufacturing of Metal Detector for Carpets, Our Metal Detector delivers accurate metal detection even in large apertures, specially designed Model for Carpet and Rugs industry is designed to deliver meximum level of Metal Detection. Highly compact design which not only delivers high results but also compensates product effects. 4. Highly adjustable to factory conditions.